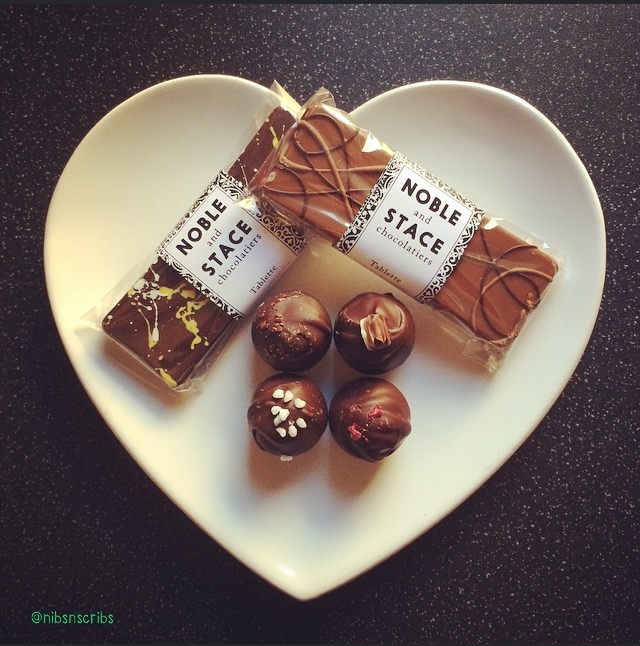 Noble and Stace have stepped aside from the desk and after taking their time to learn all things chocolate, they are embracing life as Chocolatiers. Based in Midhurst, these Chocolatiers individually handcraft Chocolates, Truffles and Tablettes, using only the finest ingredients. Being quite the chocolate lover I was extremely happy that Noble and Stace kindly sent me some samples to try, including their new and exclusive Mineral Water Truffles that are yet to be released. Coffee & Cocoa Nib Tablette* – Super smooth chocolate, this tablette is filled with coffee & cocoa nibs. Breaking the bar open, it smells like freshly brewed coffee. Coffee in chocolate is one of those tricky balances, too much and it’s bitterly overpowering, too little and it’s weak and feeble. This Tablette however is like drinking the perfect cup of coffee. If you are a coffee lover you will love this. Salted Caramel & Honeycomb Tablette* – Velvety smooth and creamy milk chocolate, the ratio of filling to chocolate is spot on. A real bug bear of mine is when salted caramel is all caramel and no salt; this little bar however is right on the mark, and pairing it with honeycomb is a genius idea. 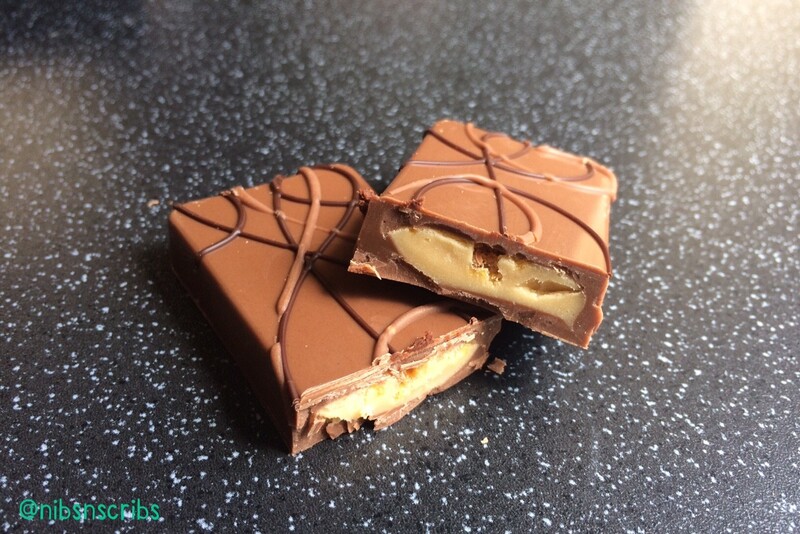 The sweetness and saltiness work perfectly together, with the milk chocolate bringing the flavours together. Honeycomb pieces are a great addition, giving this little Tablette some well needed texture. Simply put, a match made in heaven. 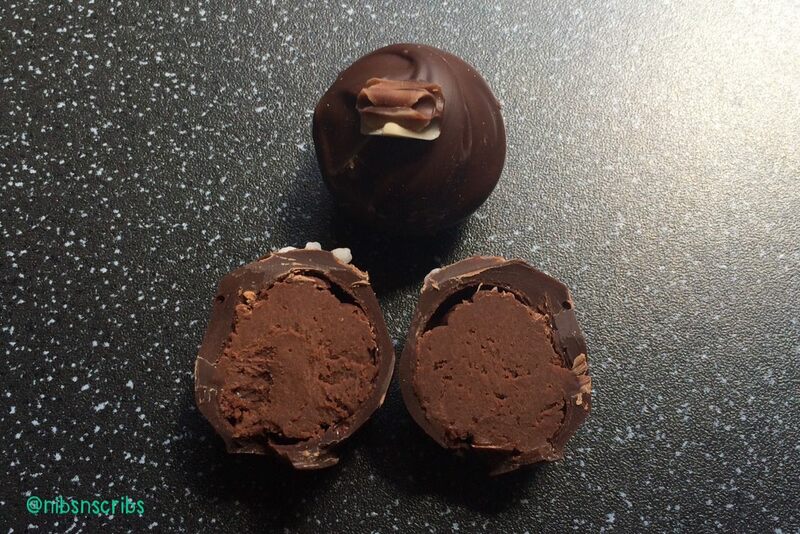 Mineral Water Truffles* – Now when someone says to me that a chocolate truffle has no butter AND no cream, just chocolate and mineral water, I’m certainly more than curious. They have a deep and very enticing cocoa smell, just how a truffle should be. Taste wise they are as delicious as they smell. The chocolate melts in the mouth, the truffle centre is light, rich and oddly cooling on the tongue. I’m not usually a truffle eater but these I absolutely love; put them in a blind taste test and these would give high end truffles a run for their money! No butter and no cream and still taste amazing, Noble and Stace you have achieved the impossible! 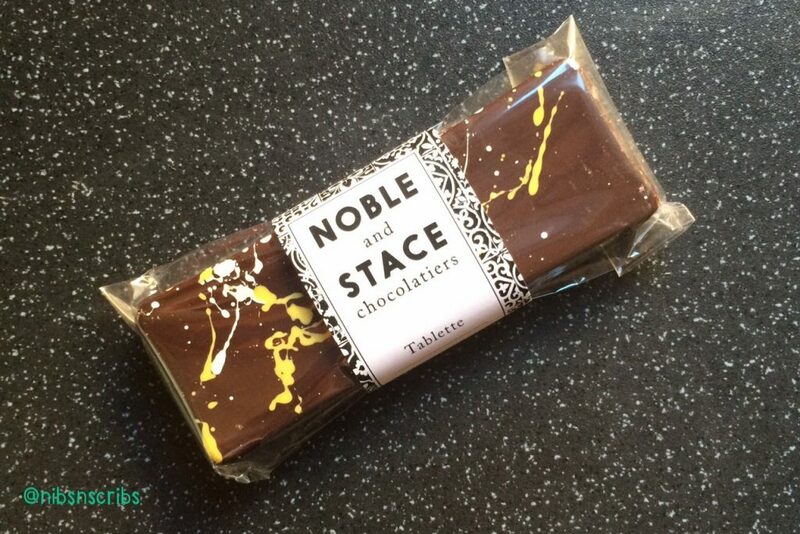 Noble and Stace Chocolatiers have certainly nailed what constitutes an indulgent treat. Their Tablettes and Truffles are a work of art, and this translates into the taste. You can see the care and thought that has gone into creating each and every Tablette and Truffle, making these the perfect gift, favour and treat. 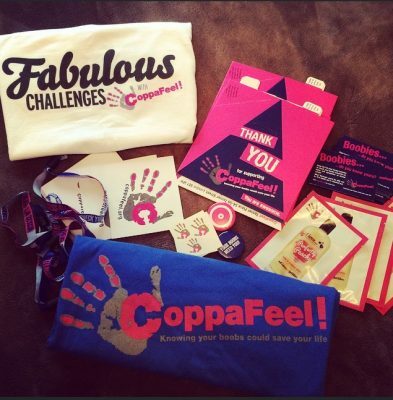 To keep up to date on their adventures, products and stockists, visit their Website, Twitter and Facebook page. Exciting news! If you fancy trying our mineral water truffles for yourself they are now available at Cowdray Farm Shop and we’ll be there for free tastings this Saturday!